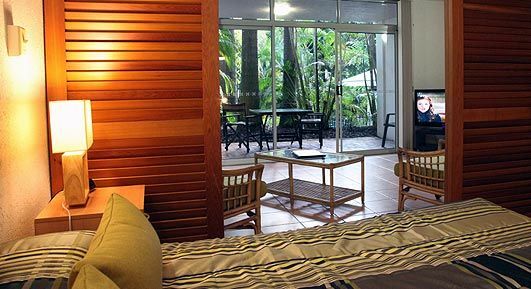 Port Douglas Accommodation and Lodging - Palm Villas Port Douglas apartments - Palm Villa holiday accommodation units – caters for couples or lone travellers in North Queensland. 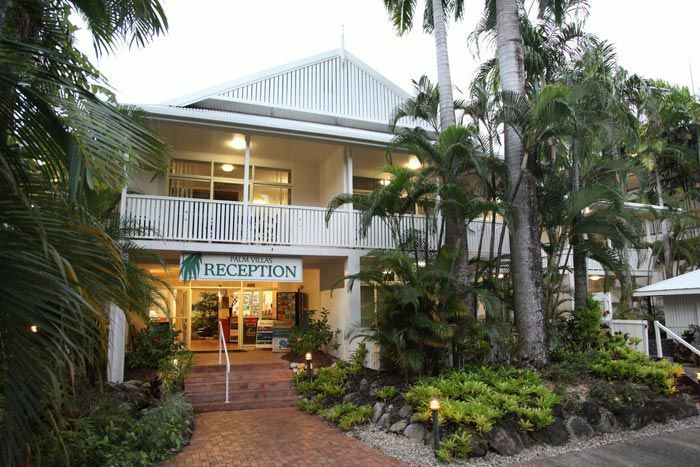 Port Douglas Palm Villas accommodation is nestled in a quiet tree fringed street, in close proximity to Port Douglas beaches, shops and the Marina, where tour boats and large ocean-going yachts leave from to take day trippers out to explore the Great Barrier Reef. 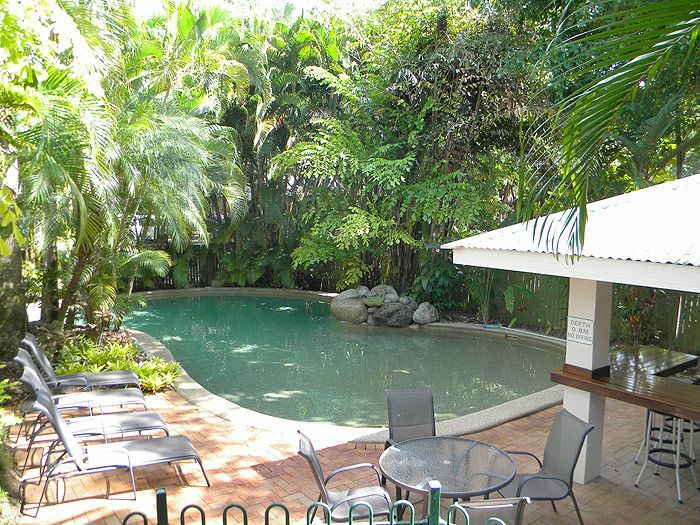 Enjoy the delightful Queenslander style holiday accommodation that Palm Villas Port Douglas accommodation offers. 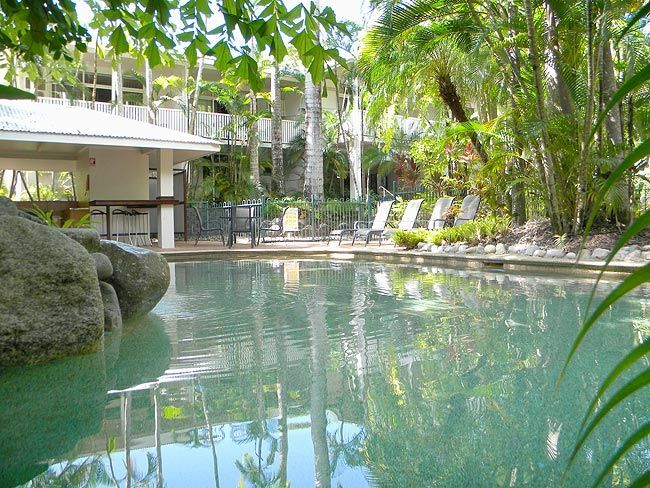 Relax on the balcony or by the pool under the shade of the palm trees in the heart of Port Douglas,Queensland. Laze by the large free-form swimming pool listening to the water rippling over rocks surrounded by lush growth. Take a dip and enjoy a BBQ in the adjoining area- ultimate relaxation. Palm Villas Port Douglas holiday accommodation apartments are located in paradise, Port Douglas is a favourite international and Australian holiday destination, renowned for its array of restaurants, boutique shops, the well known Port Douglas Marina Mirage, art galleries, World Class Golf Courses and not to mention the World Heritage listed jewels - the Great Barrier Reef & the Daintree Rainforest / Cape Tribulation Rainforest. Come to Port Douglas, stay at Palm Villas Port Douglas accommodation and holiday apartments and enjoy all that Port Douglas, tropical North Queensland has to offer. Let one of Australia’s most stunning locations be yours at Palm Villas Port Douglas accommodation.